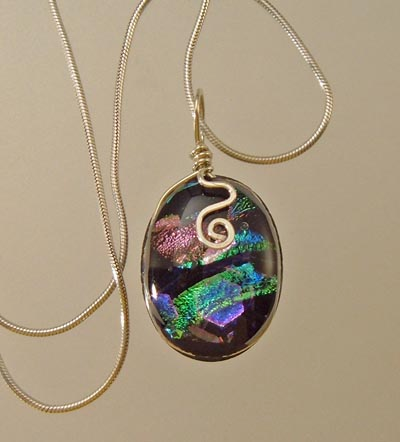 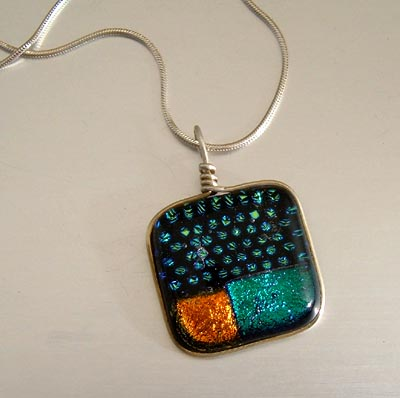 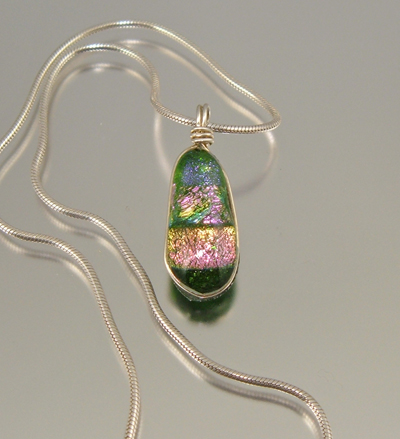 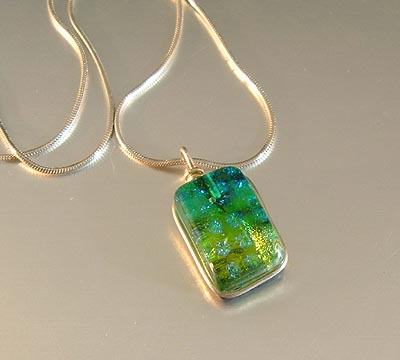 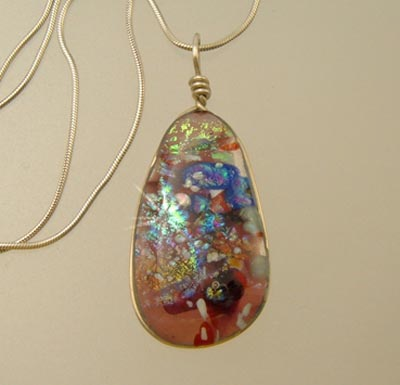 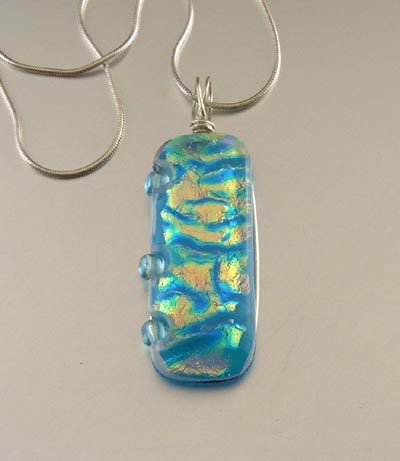 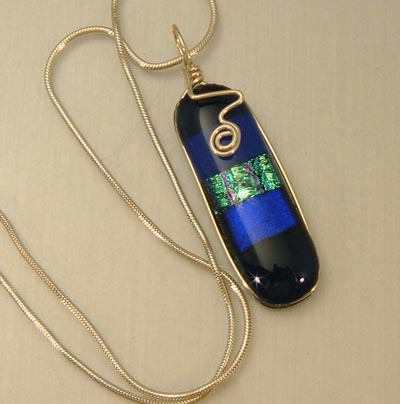 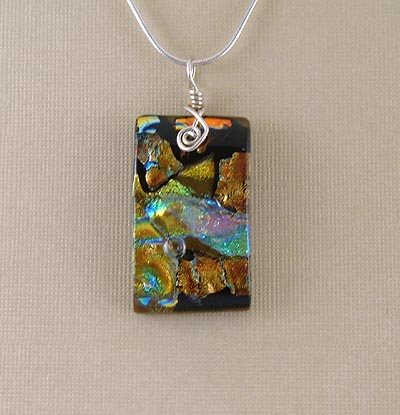 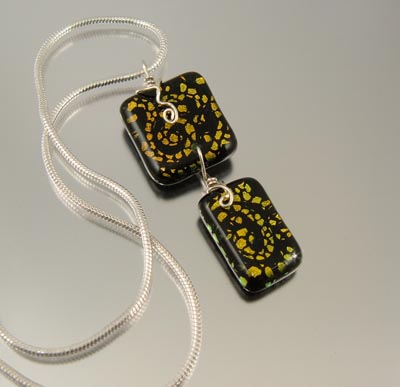 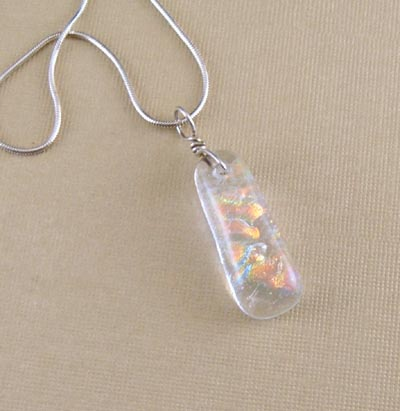 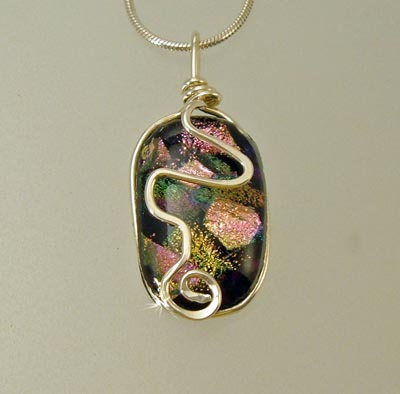 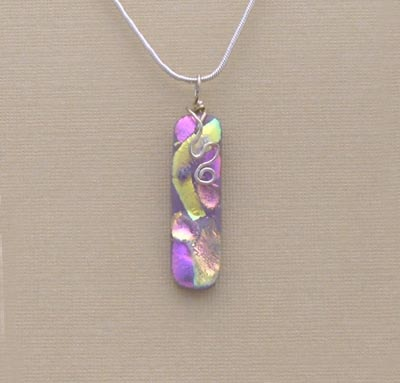 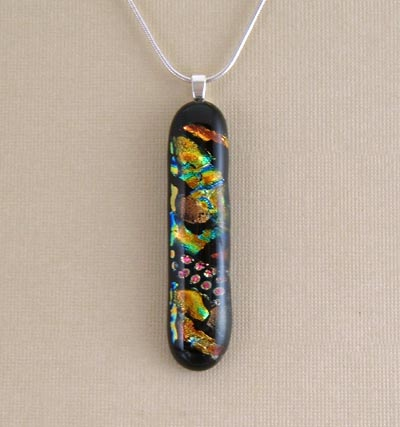 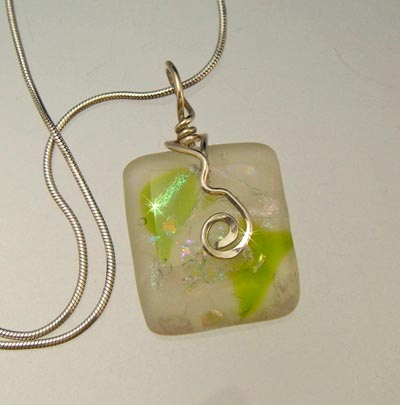 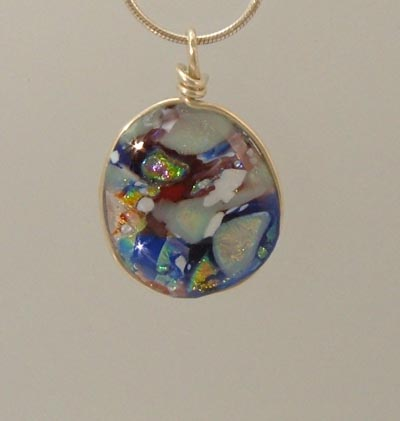 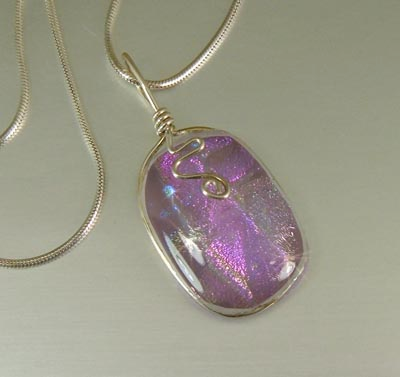 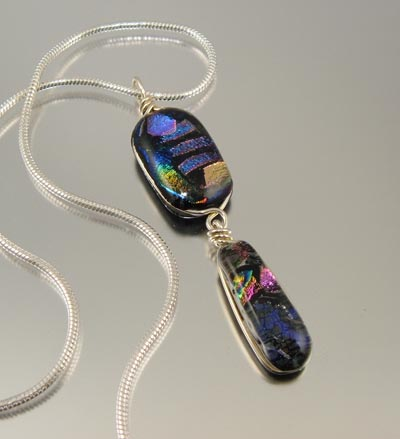 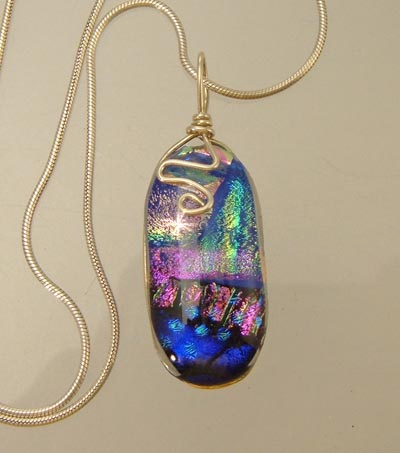 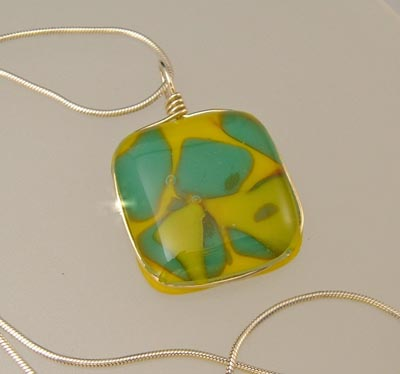 Dichroic glass is vibrant with electrifying colors. 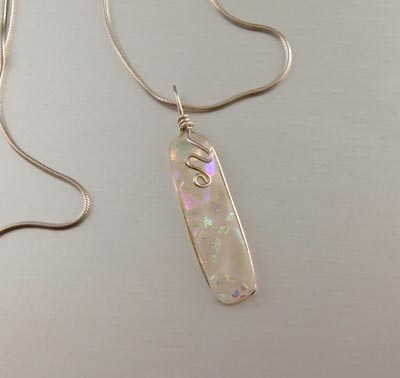 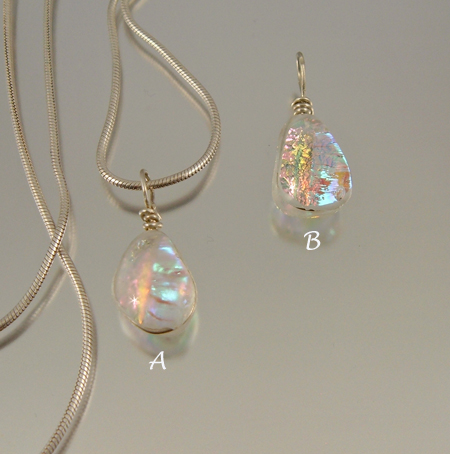 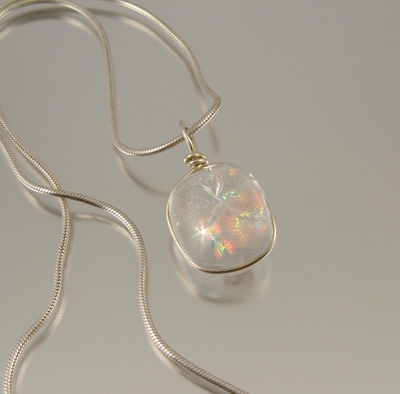 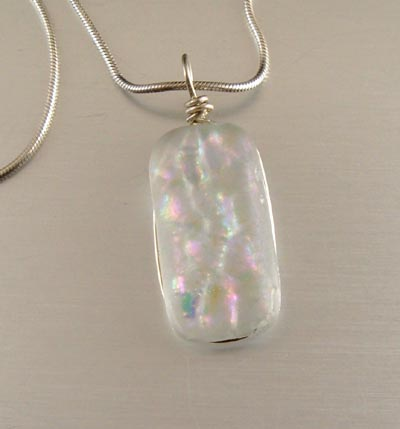 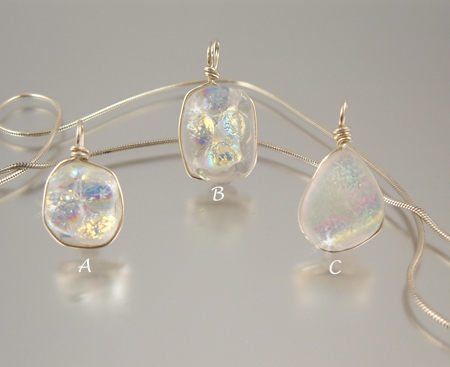 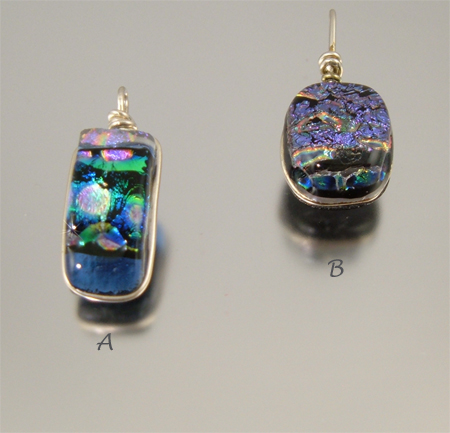 Color shifts are similar to the iridescences of dragonfly wings, hummingbird feathers or fire opals. 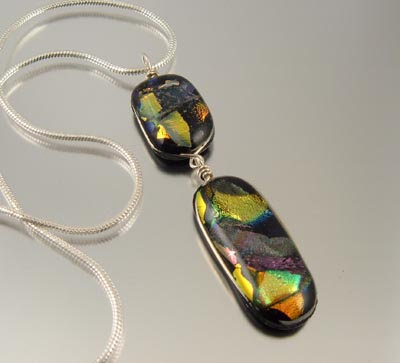 Dichroic glass is much more spectacular in person. 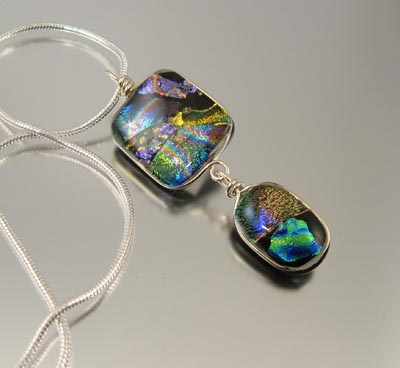 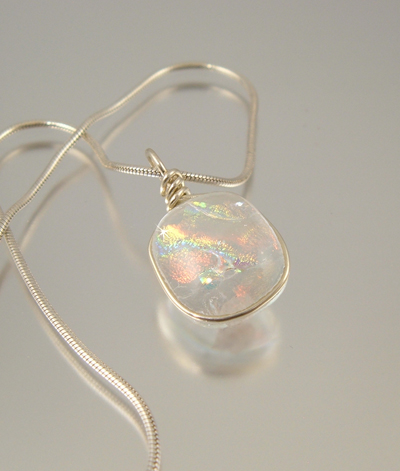 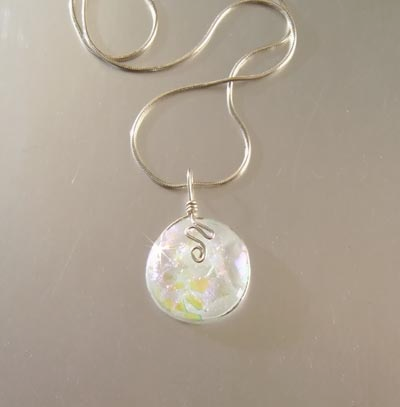 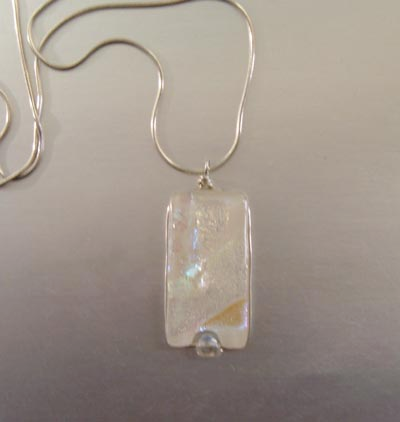 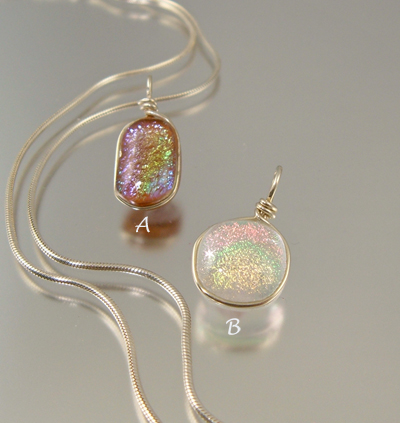 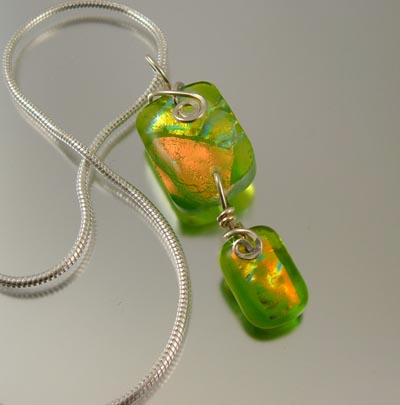 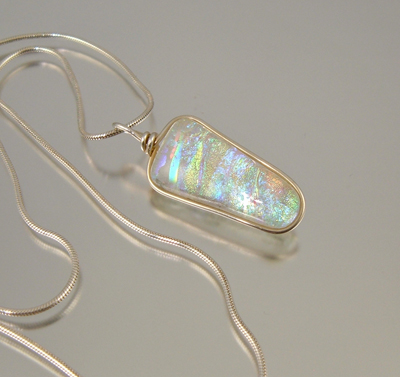 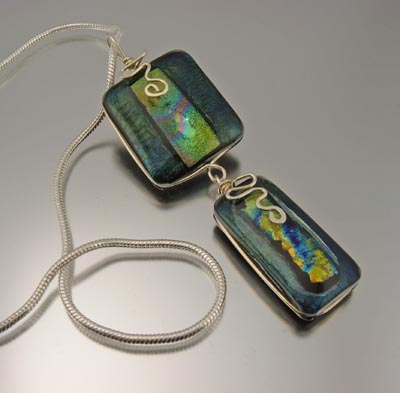 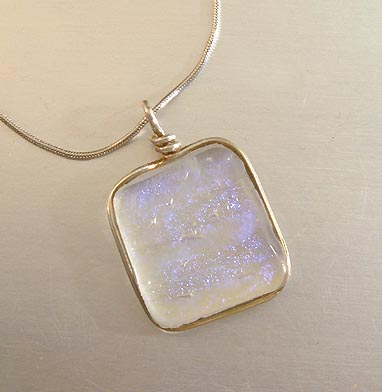 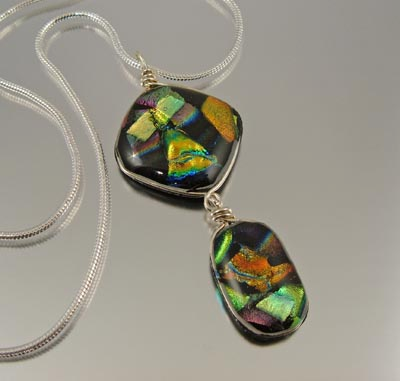 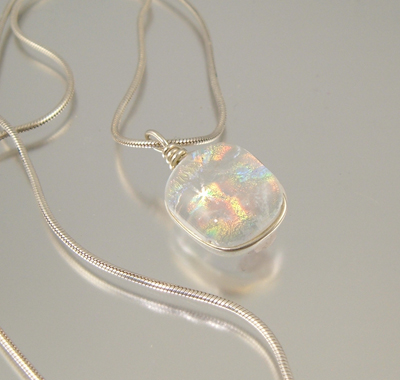 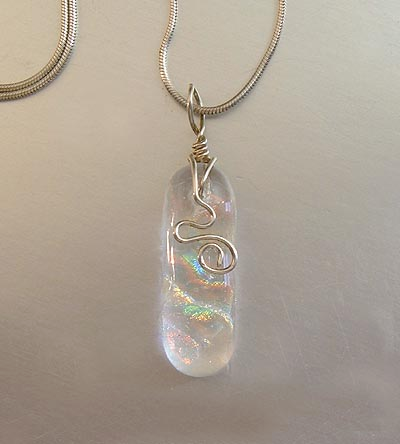 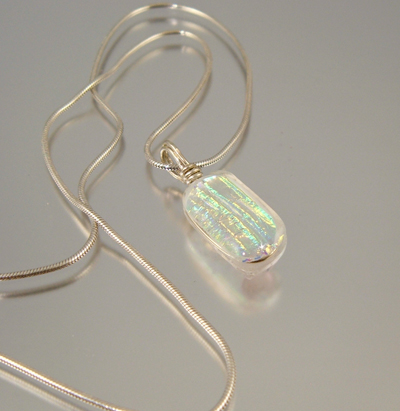 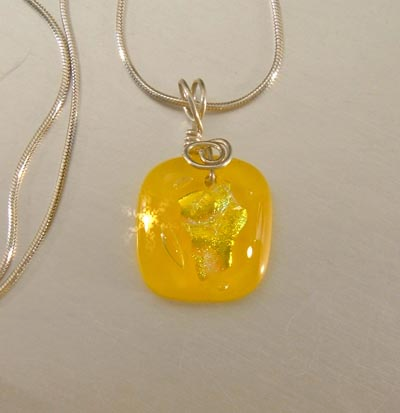 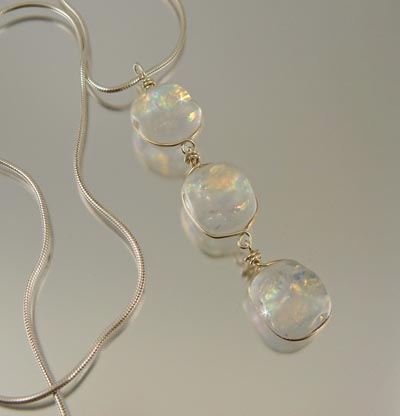 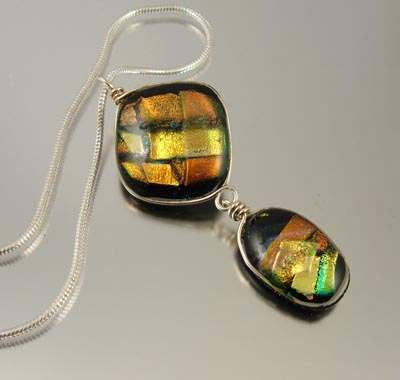 Photographing jewelry made with dichroic glass is difficult because a still life picture can�t capture the color shifts with the light. 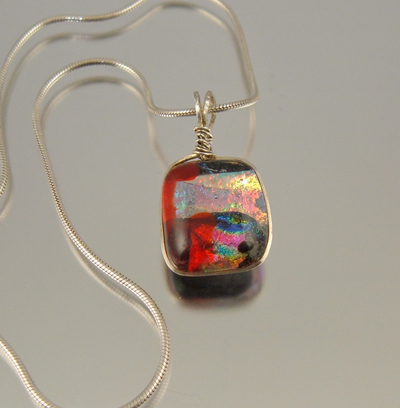 Although I attempt to capture the true essence of my jewelry in a photo, I know the items are much more beautiful in real life than a picture.